The recurring motif of a detailed miniaturist home has been etched in my mind ever since seeing Hereditary. It’s a troubling metaphor for Ari Aster’s intricate yet generation spanning horror film. For all its sudden shriek inducing terror; Hereditary spawns a far deeper well of psychological trauma. Aster looks in through the looking glass on to the prickly embers of grief and how a family is paralysed by its force. External powers and occult rituals expend fierce energy to permeate through familial cracks. There’s a voodooist vibe to a family’s plight as each member plays a distinct role in its impending implosion. Once the pressure intensifies and those weary cracks are laid open to ghosts of the past, a thunderous deluge is unleashed. It’s a fearsome shift in tone and pace that unmasks the face of true horror. This is heavy going stuff that is anchored by a tremendous lead turn by Toni Collette. 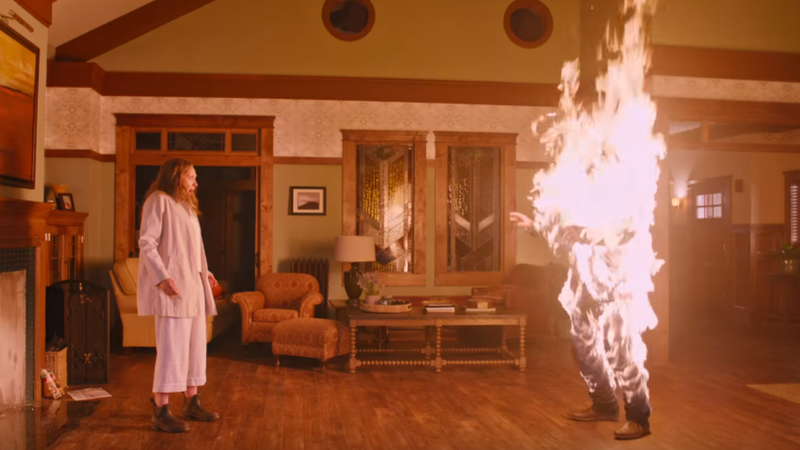 Hereditary poses existential questions on the notion of inheritance, legacy and the permanence of time. Tangible manifestations of our existence are passed through from one generation to the next, these worldly objects carry a sentimental significance but can often be painful reminders of those dearly departed. These items serve as a gateway to connect with the deceased in Hereditary. It’s a classic object horror trope and this seance filled dimension of Aster’s film is certainly it least interesting dimension. 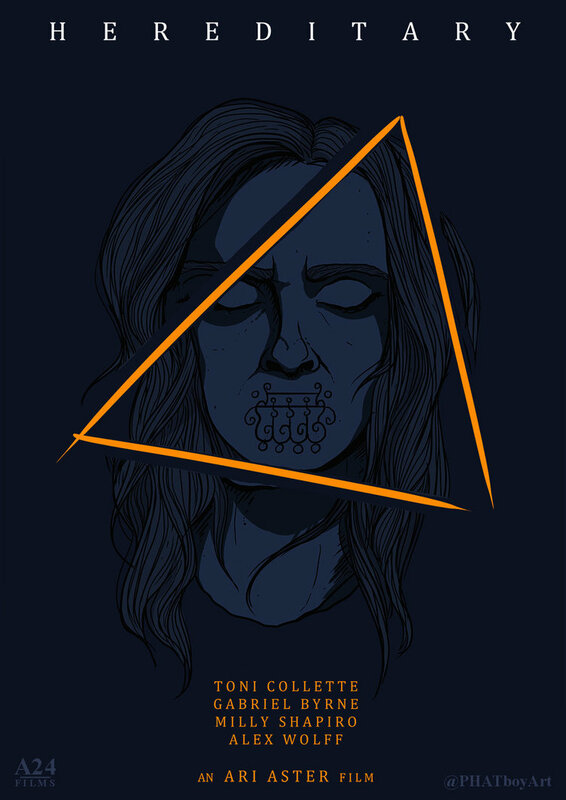 What sets this sharp horror debut apart is Aster’s commitment to trace the intangible: the metaphysical and occult. Shards of information are revealed one hand at a time until it becomes evident that all strange roads lead to the altar of Annie’s (Collette) recently deceased mother. triggered a series of unfortunate events that left unhealable scars. 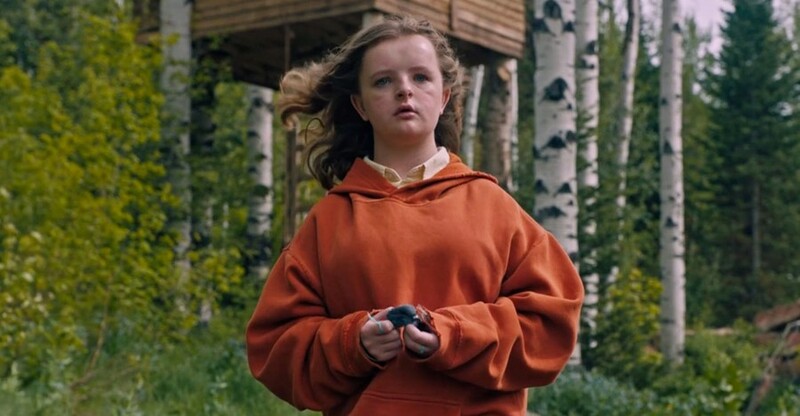 Her pervasive influence is a living thing in Annie’s children particularly Charlie (the tremendous Milly Shapiro). While Annie has inherited an inability to process her emotions and resorts to control freakery by retelling of grisly events in her miniaturist artwork; Charlie is overcome with a melancholy that seeps from her very pores. The death of the elder results in a form of possession as Charlie beheads a bird and tongue-clicks her way through social anxieties. I can’t think of a child in contemporary horror making such a lasting impression in such limited screen time. It’s a remarkable performance from Shapiro from start to grisly end. The men in Annie’s life are at polar opposites. The cool, calm and collected conscience amidst the carnage is husband, Steve. He’s an unflappable character who plays second fiddle for most part. Annie’s maternal and Freudian heart of the film thumping violently to silence him. Son, Peter, is deranged from his mother and is her chief antagonist. As the narrative develops so does Peter’s growing importance in the grand plan. Annie’s interaction with her children plants the seed of sins being passed on and an indomitable curse that hangs over the family. Tragedy plays games and knocks on the door to reveal its headless form. It’s a meditation on grief that oppresses and feel hugely draining in the first half but as the lowest ebb is reached; the shackles are disbanded and Toni Collette’s remarkable breakdown ensues. There are myriad influences flowing through the dark heart of Hereditary from the likes of Carrie, Rosemary’s Baby and even more recent maternal horror in the form of Jennifer Kent’s The Babadook. While comparisons with The Exorcist are off the mark, the black magic does mark this as one of standout horror films of the past decade. It also teaches a valuable life lesson: keeps arms, legs and heads inside the vehicle at all times.